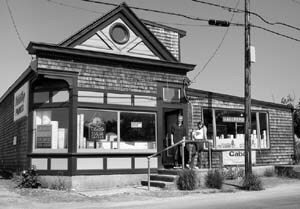 The following is a history of the buildings and businesses that have stood over the past two centuries on the properties north of Drummer Lane on the west side of Main Street in Vineyard Haven, Mass. Because they were spared from the blaze, the houses north of Drummer Lane predate 1883, some by more than a century. 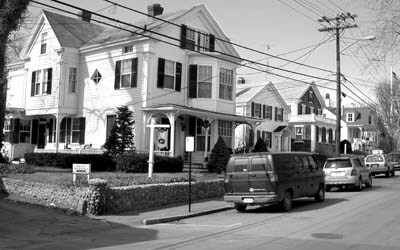 The history of these old homes has been published in earlier works, including Jim Norton's excellent book, "Walking in Vineyard Haven, Massachusetts" (2000). As these buildings are outside the immediate scope of this history and were mostly private homes, I will only give a brief summary of their histories here. I have cross-referenced the following notes with Norton's numbering system. Consult his book for more information. 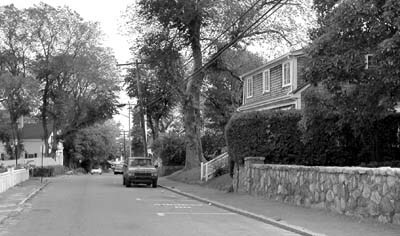 Stan Lair said in 1979: "The first house on that west side is the Rheno house, one time was owned by Laura Robinson, and is operated now by Mrs. Rheno as a rooming house." In 1843, the widow and children of Thomas Manter (c1776-1821) sold this unbuilt lot to Tisbury mariner Rodolphus W. Dexter (1816-?). According to Norton's book, Capt. Dexter hired contractor James Peakes to build the house here in the 1840s. Capt. Dexter was born in Tisbury, the son of Benjamin Dexter and Betsy Hillman, and the husband of Irene/Irena Clifford (1819-?). (He was also the brother of Capt. George Dexter, whose widow and daughter lived at Site #29.) Dexter and his family were living in this house by 1850, and remained here until 1866, when they sold this property to Thomas Robinson and then moved out of town. Capt. Thomas M. Robinson (c1833-1876) and his family lived here next. Robinson was born in Tisbury, the son of Hervey Robinson and Peggy Manter and the husband of Laura Crosby (1838-1909) of Edington Maine. They adopted Aleta T. Robinson, who later ran the successful dry goods business at Site #30. Capt. Robinson died in 1876, and Laura and "Leta" remained in this home until Laura's death in December 1909. The next few owners and occupants are unclear. Mrs. Mary A. (Bradley) Beetle (1845-1922) evidently became the owner of the property and lived here in the 1910s and in 1920. She was the daughter of storekeeper Charles Bradley and his wife Nancy Athearn (see Site #22). George H. Dean and his wife Nellie (Horton) Dean (daughter of Murray W. Horton) evidently held the deed in 1923. 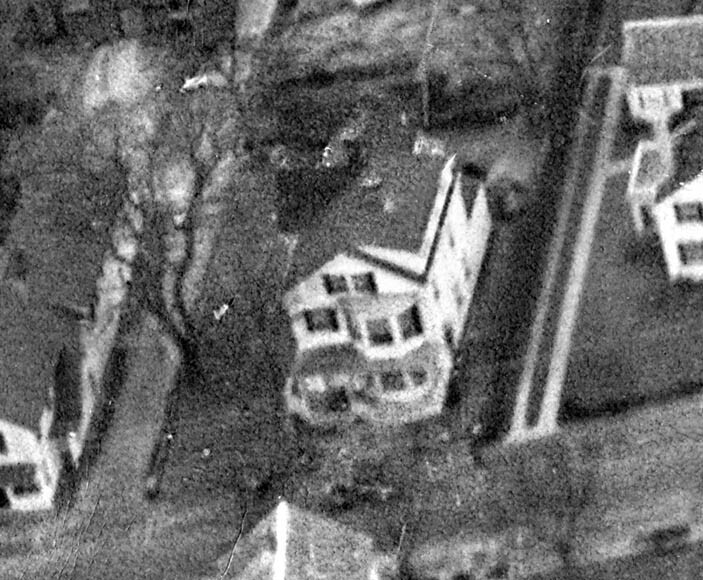 Stan Lair wrote on the 1914 map for this house, "Mrs. Simon Rheno -- Roomers --- (Beetle House)"
By 1920, Winthrop Rheno and his mother Clara were living here, and in 1923 Rheno bought the house from the Deans. Stan Lair said: "Winthrop Rheno, Win Rheno. He was foreman for Hancock for a good many jobs. Construction foreman. We always liked to work for Winny Rhino because when you got on the job, the first thing he asked you was "Where do you want your holes?" I was a plumber, by the way, so we had a lot of holes to cut. And Winny would say "Where do you want your holes?" and he would give you a man to cut the holes for you. If you happened to have a house that had crawl space under it, Winny would see that the place was lit, he would have electric lights under there with switches. No drop lights or anything like that, you just throw a switch and boy, you were working right there in real comfort. He was quite a foreman." House carpenter Winthrop Clarence "Winny" Rheno (1897-1963) was the son of Mrs. Clara May (Pratt) Rheno (1861-1932) and her husband, contractor and cabinetmaker Simeon L. Rheno of Maine (c.1858-9 - 1926; see Site #13). 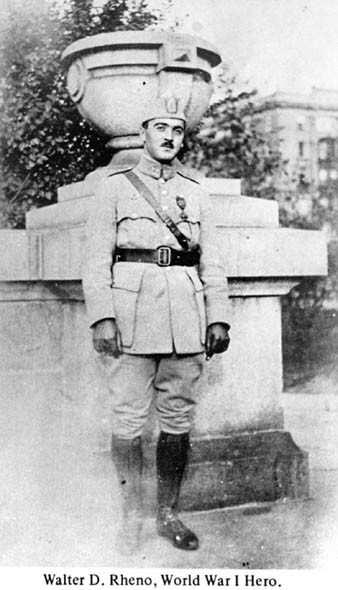 Winthrop was also the brother of a World War I hero, Lieutenant Walter Davis Rheno of the Lafayette Escadrille. 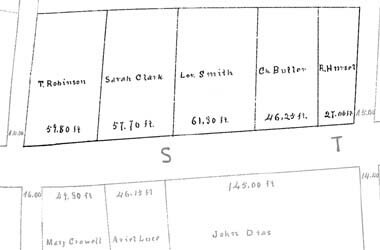 The 1930 Vineyard Haven census lists 32-year-old Winthrop C. Rheno as a single carpenter and contractor living with his 68-year-old widowed mother, Clara. Their home was valued at $9000. Winthrop's niece Carolyn Furtado wrote: "Win and Myrtle met and carried on a correspondence for several years and then tied the knot. She was from Kansas and had been a schoolteacher. My great-grandmother Clara's name was Pratt, daughter of Benjamin F. Pratt of Weymouth. She married first, Eugene Burleigh Young of Hingham, having two daughters, my grandmother Mary Adelaide, and Lillian. When my grandmother, May (Clara was Clara May), was twelve years old, Clara up and left Eugene and the girls and remarried to Simeon Rheno. I think my mother said he was a musician, but I can't verify that. Simeon was born to a family named Davis in Maine, and later was adopted by the Rheno family who treated him with great cruelty, and evidently must have wanted him for a slave." Upon Winthrop's death in 1963, the house was inherited by his widow Myrtle Rheno (1905-1996) who operated her home as a rooming house. She sold the property to Charles Rechtsteiner in 1981. In 1981, Rechtsteiner sold this property (listed as "100 Main Street") to Beyer and Patricia Parker. 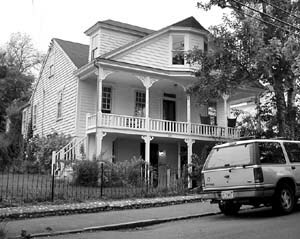 In 1988 the Parkers sold it to Steve Pieczenik, who in 2000 was operating the home as a bed-and-breakfast under the name of its first inhabitant, the "Capt. Dexter House." On the back of this photo is written "Ellis Manter's Shoe Store - next to the Rheno House (Captain Dexter) in what is now Mrs. Mayhew's driveway." The photo is stamped "Douglas Photo, Oak Bluffs, Mass. Aug. 23, 1920." His job printing shop was in the rear. This photo may have been taken just after Ed Lord took over the shoe business. More than once in the history of this property there was a store building perched on the edge of the street, separate from the main dwelling house. 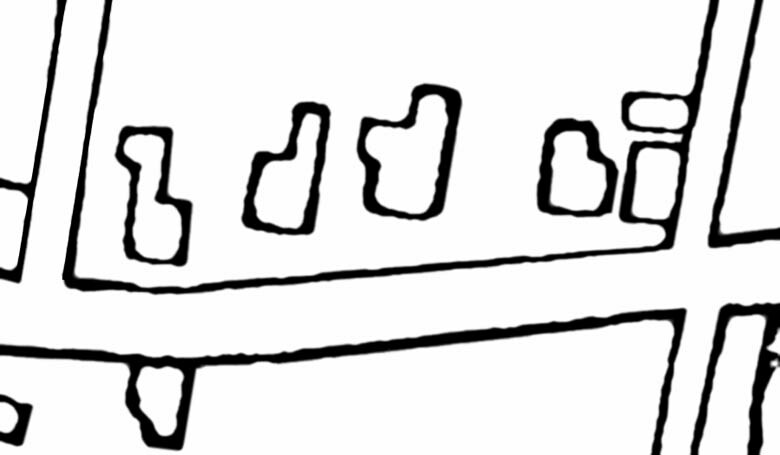 The following notes relate to both the house and the store. Stan Lair said in 1979: "Then we come to the E. H. Manter Shoe Store, which has since been moved. It was right on the corner of the next lot, though. That building was moved all over the place, and finally wound up down on Lagoon Pond Road, where it is the Color Center. And the house on that property was the E. H. Manter house, now belongs to Mrs. Mayhew. Also, Dr. Merchant lived there at one time." and then Ellis Manter, see. SL: That was Manter's shoe store. RL: Right! This town right now has quite a little money left that Ellis Manter left to the town for children. Sure! Quite an item in the town report about it. Should be! According to Mr. Norton, Timothy Pease's family bought this lot in 1838, and in an 1843 deed it is referred to as the property of his daughter Sarah S. Pease (1798?-1874). Sarah was born in Farmington, Maine. In November 1848, at the age of fourty-four, she married widower, stone-cutter, and mariner Jonathan Clark (1796?-1856) of Dennis and Rochester, the son of Jonathan and Deborah Clark. It's unclear when Sarah and Jonathan Clark built the house here, or when they may have lived in it. According to Norton, the house was used for "transient housing." Jonathan Clark died of "consumption" (tuberculosis) in 1856. There is evidence that Tisbury shoemaker John Heald of Farmington Maine may have had a shoe shop here in the 1840s. He died of dysentery in October 1849 at the age of fifty-eight, and his son Zachariah N. Heald (1821-?) took over the shoemaking business. The 1850 census shows the Heald family living in this house, headed by Zachariah Heald's widowed mother Hannah Smith (Norton) Heald (1795-? ), the daughter of Zachariah Norton and Hannah Smith of Edgartown and Farmington. In 1850 Mrs. Heald lived here with her ten children, son-in-law, and granddaughter. In October 1852 the Gazette reported that Zachariah N. Heald of Tisbury married Elizabeth S. Norton of Farmington, in Farmington. They returned to the island and were listed in the 1855 Tisbury census, but the entire Heald family evidently left the island by 1860. 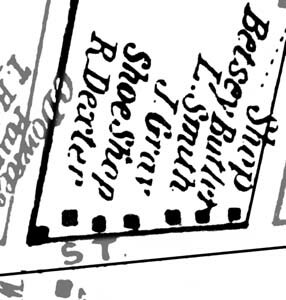 The 1858 map lists a separate "Shoe Shop" building at this location, although the dwelling house is marked as "J. Gray". Capt. James Gray (1814 - ?) was evidently living here in 1858 and 1860. He was born in Starks, Maine, the son of James Gray and Elizabeth Norton, and was the husband of tailoress Sarah B. Harding (c1820 - 1902) who was the daughter of William Harding and Abigail Baxter, and the sister of Capt. Ephraim Harding of Site #33. They evidently moved out of this house before 1870. A Gazette profile of Ellis Manter (1856-1933), who later owned this house (see below), describes his early education in Holmes Hole: "Mr. Manter was sent to the public schools when they were in session, which was but six months out of the year. But when these were closed, he attended classes in the famous old "kitchen" schools which were conducted privately and under severe handicaps as reckoned by present day standards, but which were marvelously efficient. It was in one of the old kitchens of the village that he learned geography, a study that he has never forgotten because of the thoroughness with which it was taught. It is interesting to note that the kitchen of the house in which Mr. Manter now lives, and owns, is a part of one of these old schools." In 1870 Methodist clergyman Rev. Philo N. Hawkes (1808-1891) was evidently renting this house with his wife and daughter. Hawkes was pastor of the Holmes Hole Methodist Church from 1870 until 1872. Born in Charlemont, Mass., he was a clergyman in Lowell by 1850, then served as a chaplain of a Rhode Island regiment during the Civil War. He was married to Gratia Electa Field (1813-?) of Gill, Mass. He died in Barnstable and is buried in Bristol, RI. In July 1874, property owner Sarah N. (Pease) Clark died. (The town record listed her cause of death as "dementia.") The following year her stepson Cornelius Clark sold the property to schoolteacher Thurston W. Tilton for $1100. In 1876, Thurston Tilton and his wife Agnes sold the property for $1200 to Henry Manter. The deed included the buildings on the property "excepting a Shop or Store and walls and underpinnings thereof" - evidently referring to former shoe shop building. It is not yet been discovered what Tilton did with the store, or what (if anything) the building had been used for since the Healds left. 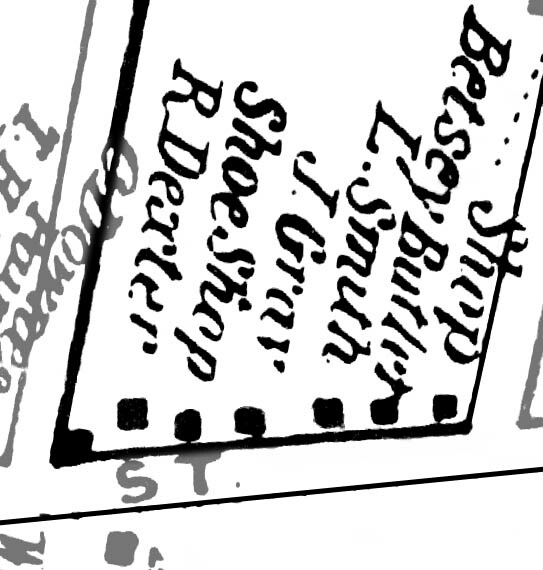 The store building does not appear in the 1887 birdseye map, nor in the 1888 real estate map. Seaman Capt. Henry H. Manter (1816 - 1879) was born in Tisbury, the son of ____ and the husband of Mary C. Luce (c.1821-1905; the daughter of David and Priscilla Luce) of Chilmark. He died in February 1879, just a few years after buying this home. The 1880 census lists the widow Mary here with her 24-year-old son, Ellis H. Manter (1856-1933), who by this time was working as a "job printer." Ellis had formerly been a student of the Grove Hill Seminary on Crocker Ave. In March 1882 the Gazette noted "E. H. Manter, the job printer, has added a new branch of business - oyster merchant - with his tried and faithful assistant F. Daggett." Ellis Manter went on to become the proprietor of a successful boot and shoe shop that doubled as a job printing shop (see Site #3). He had opened his first shoe store and print shop in town for just a couple of months when the 1883 fire burned it down, and he temporarily relocated his store at his home at this site. 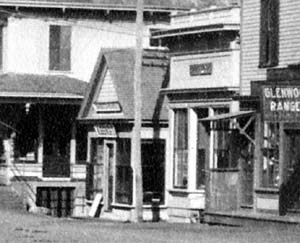 "As a boy he entered one of the general stores as a clerk, but being ambitious to own his own establishment, set up in business with a small stock of notions and a few shoes before he was twenty. His first stick was hardly on the shelves when the Vineyard Haven fire occurred, and because of the small amount of goods in his place of business, he was able to transfer them to a place of safety. On the following day there was a great demand for shoes, which he was able to supply, but as no one had any money, he was obliged to extend credit. "This was a peculiarly unfortunate circumstance, as he had purchased his stock on credit and had agreed to make payment on a certain date. 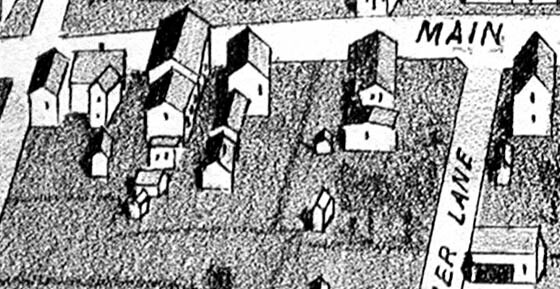 In order to fulfill his promise, Mr. Manter dug shellfish and sold them to pay for his stock of shoes, and thus established a line of credit with wholesalers that never failed during the forty years that he remained in the shoe business. "From early boyhood, his hobby was printing, and he practiced during his spare time with printing presses of various sizes until at last he became the possessor of a fairly large machine upon which he turned out work that gained for him a wide reputation for accuracy and excellence. He thus attracted the attention of Edson C. Crick, who published the Vineyard Haven News, the only newspaper ever printed in Vineyard Haven. This was printed by Mr. Manter." Manter once again opened a downtown shop after the fire (see Site #3), but between about 1910 and 1914 he is said to have obtained the small shop on the corner of Union and Main Streets and moved it back onto his property at this site. It was out of this shop he worked until his retirement. In 1900, a few years before the death of his mother, he married Ethel L. McKenne, whom he divorced before 1910. The 1910 census lists Ellis Manter living alone in this house, and in 1920 with a house full of borders. Stan Lair wrote on the back of this photo: "Manter's Shoe Store, next to Rheno's - was moved from here to the rear of Cronig's store, then to the post office parking lot, to across Lagoon Pond Road. It is now the Island Color Center." Walter Renear added: "This building was on Main Street (second building north of Drummer Lane, west side of Main). 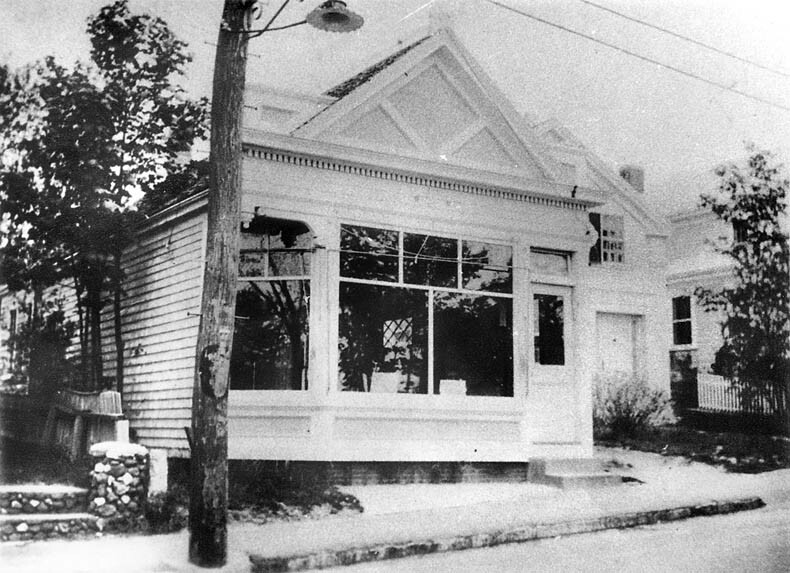 This building was moved to the lot where the Post Office is now and then when the First National Store was built it was moved to the east side of Lagoon Pond Road. And there it now sits as the 'Island Color Center.' In its original location it may have been Lord's Shoe Store." Location #1? : Southeast corner of Main and Union. 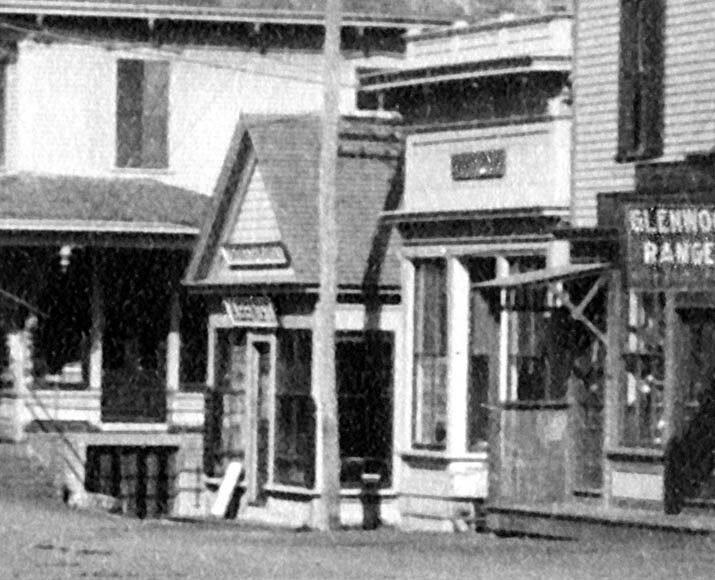 Before it was Manter's shop, it is said to have been this small shop on the left, where an empty lot lies today (See Site #5.) Photo circa 1905. Stan Lair wrote on this photo: "Note the extra building at 'Carter Park' location. It was moved next to Mrs. Rheno's as Manter's Shoe Store - Then moved to back of Cronigs Market on Church St. as a restaurant - Then moved to the present Post Office Lot next to John's Fish Market (corner of Lagoon Pond Rd. + Beach St.) Then moved to its present location on Lagoon Pond Road." 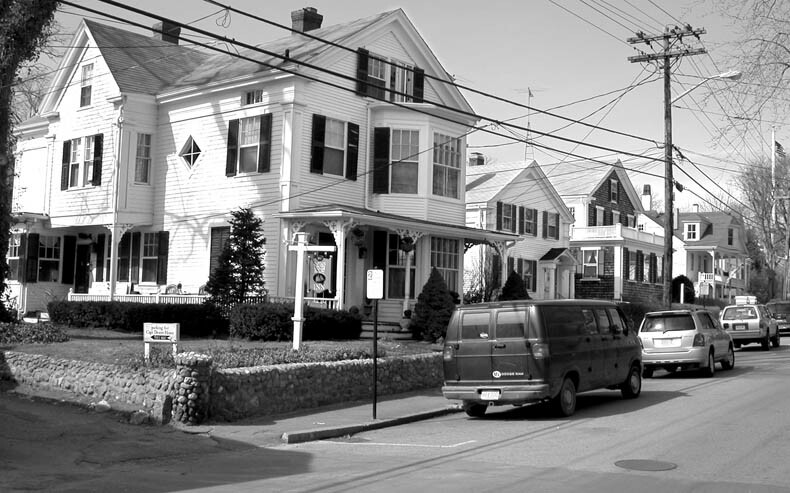 Location #3: North side of Church Street. Manter's shop after it was moved to Cronig's property. This photo is from the 1939 Renear's Garage calendar. Bob Renear wrote: "The building next to the garage was Manny Caton's gas (bottled) sales and service. It was also Jeanette's Restaurant for awhile. Then the building was moved to Howard Avenue and became Mike Fontes' paint store." 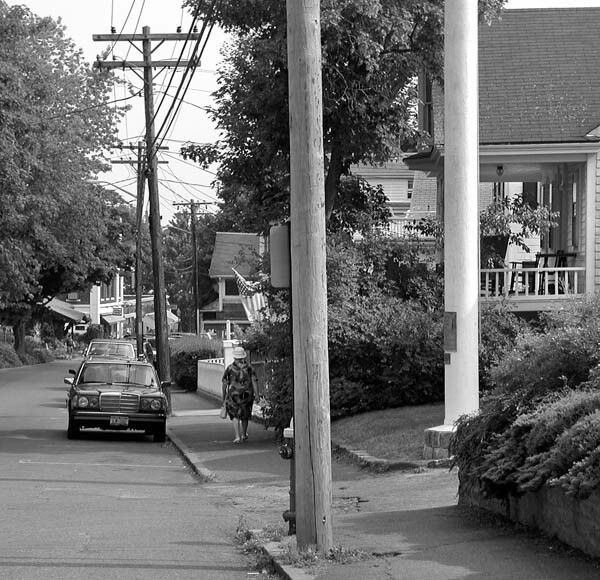 Location #4: South side of Beach Street. Stan Lair wrote on the back of this photo: "John's Fish Market and Mike Fontes' Paint Shop (Vineyard Color Center) on the corner of Beach Street and Lagoon Pond Road (Post Office Lot). The paint shop was moved from here to its present location on Lagoon Pond Road." Location #5: East side of Lagoon Pond Road. Island Color Center, Lagoon Pond Road, June 2002. Elias Ingraham (owner Bill Ingraham's son) and Megan Stiller (Sam Cronig's great-granddaughter) stand outside. Stan Lair said: "The building on the corner of Main and Union, now Carter Park, was a fish market. It was also Schwemmler's Bakery, Ashton's Photographers' Shop, Matthew's Real Estate, with a small store in the front, and a former Barnacle Club headquarters. It was moved to a spot next to Rheno's, next to Mrs. Rheno's, around the corner of Mrs. Mayhew's property, where it was E. H. Manter's Shoe Store with a job printing shop in the back. It was moved from there to the rear of Cronig Brothers' store where it was a restaurant operated by the LeBell Family, and then a printing shop later operated by R. W. Martin. 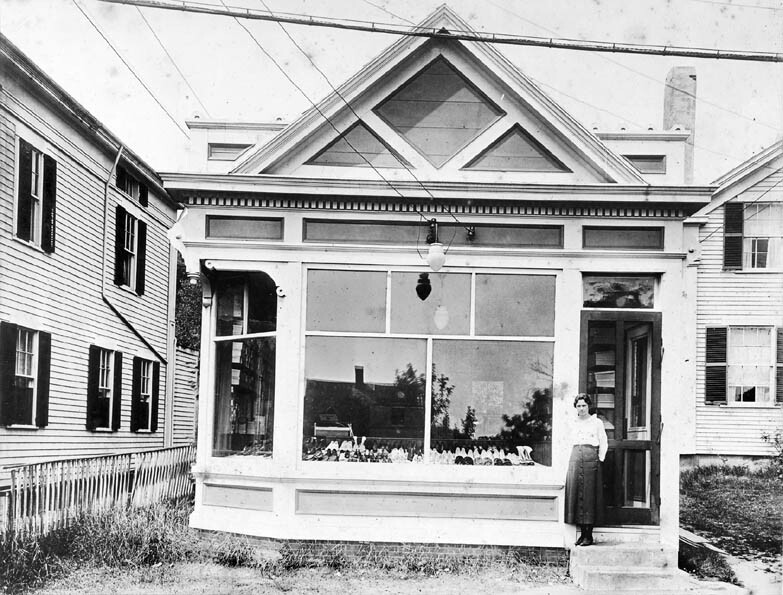 It was moved from there to the present Post Office parking lot, on the corner of Lagoon Pond Road and Beach Street, where it remained for three years and then was moved to its present location, the Island Color Center." 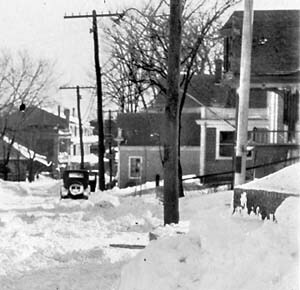 (2) Main Street, west side, immediately north of Mrs. Rheno's-that is the second building north of Drummer Lane. 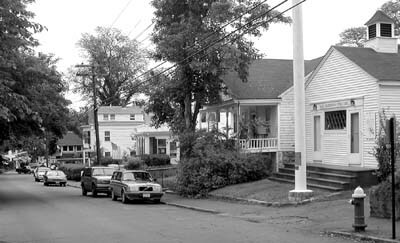 (4) The lot where the Post Office now stands, it was moved from here to make way for the First National Store (which was the original use of the Post Office Building); at this time it belonged to Mike Fontes and he used in his paint business. (5) Lastly it was moved to the east side of Lagoon Pond Road directly opposite the exit to the Post Office Parking lot; first housing Mike Fontes paint business, then James Beckman's paint business and finally the present business of Island Color Center." Mike Fontes Jr. adds: "I know that my father's paint shop was moved at least four times, and I have heard that it was once a shoe store, and was fronted on Main Street in one of its many "incarnations". I recall hearing about the location near Drummer Lane, but this was all before my time! I am sure that if my father testified that the building was once where the site of the old police station (the station previous to the one at the top of the A&P parking lot) then I know that it must be so, as my dad was alive during this building's many moves!" By 1920, the aging Manter had retired from the shoe business, and while he continued to live in the house and set type on his presses, he rented out the front of his shop. In the summer of 1920 The Vineyard Shoe Store began advertising. Edward Clifton Lord (1858-1934) was the proprietor. Lord had formerly owned and operated the ship chandlery on Grove Street. See Site #32 for more about Lord. It's not clear who, if anyone, occupied the store between 1929 and 1933. One person remembers that Leonard G. White (c.1891-2 - ? ), usually referred to as "White the Electrician," may have had a shop here about this time, but memories of White's location vary. 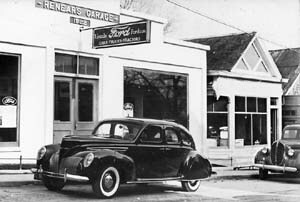 His shop had previously been in "Andrews Block" (see Site #26), and his business was eventually bought out by Brooks Carter. 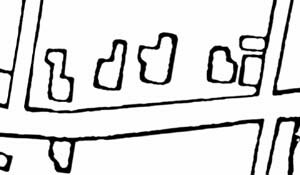 Len White was described in a 1932 column as "noted for his heavy thatch and fifty pounds of electrical tool sticking out of his pockets." When Manter died in March 1933, his (ex? )wife left money from his estate to the Tisbury School as a "shoe fund," which is still drawn upon to this day to help shoeless children to buy school supplies. His house was sold to Ella D. and Raymond F. Merchant. The Gazette reported in June 1933 that Dr. Merchant had then sold Manter's store building to Henry Cronig, and that the building was to be moved to Church Street by Henry Cronig. The following week the Gazette reported that W. E. Dugan had been awarded the contract to remodel Dr. Merchant's new house, noting that "the office and consulting room will be incorporated with the living apartments in the newly purchased home. Mr. Dugan will also repair and equip the store building recently purchased and moved from the Ellis Manter property to Church street. And speaking of moving the store, most of the work was done at night, and movers and telephone men, especially Henry Counsell, put in a thirty-hour shift." 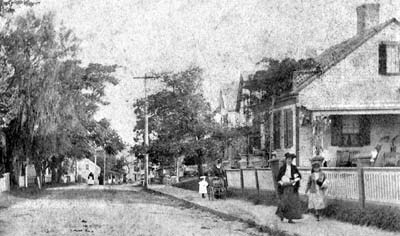 Manter's shop can be seen at the center of this snapshot, taken from near the bottom of Colonial Lane. This photo was marked "Feb. 10th" - suggesting that this was probably the Feb. 10, 1926 snowstorm which the Gazette called "the hardest blizzard in 20 years." The same view, 76½ years later, June 2002. No shop. "Dr. Merchant was my doctor, removing my tonsils by electric-coagulation. I would visit his office weekly for tonsil treatment. It was next to the DAR building on Main St. Before he finished with me, he had an appendix operation, the day he sat up in the hospital bed talking to his wife, he fell back dead." 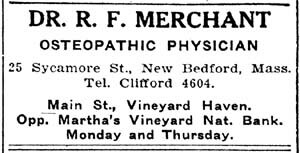 Dr. Raymond Francis Merchant (c1901-2-1943) moved here from New Bedford about 1928 and began a medical practice in Vineyard Haven. He was born in New Bedford, the son of Ambrose F. Merchant, and was a graduate of New Bedford High School, class of 1919, and the Chicago College of Osteopathy, class of 1925. He served his internship at Columbia Hospital in Chicago. In July 1929 he married Ella V. Deslandes of New Bedford. By January 1929 Dr. 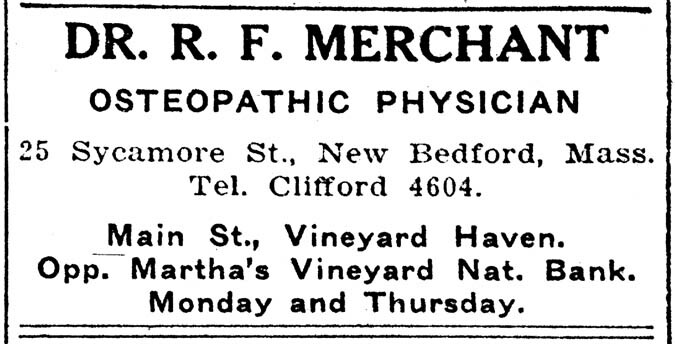 Merchant's office was on Union Street in Lane's Block (see Site #4), where he advertised as an "osteopathic physician" and in 1930 advertised a treatment for varicose veins. Although initially he leased the house of Edward H. Smith, in 1933 he bought the home at this location from Manter's estate. Dr. Merchant died June 7, 1943 following an attack of appendicitis, at the age of 41. His obituary notes, "His home, formerly the Ellis Manter house, on Main Street, was a source of pride to the owner." Mrs. ____ Mayhew owned this house in the 1970s, and Edith Hurd owned this house during the 1990s. 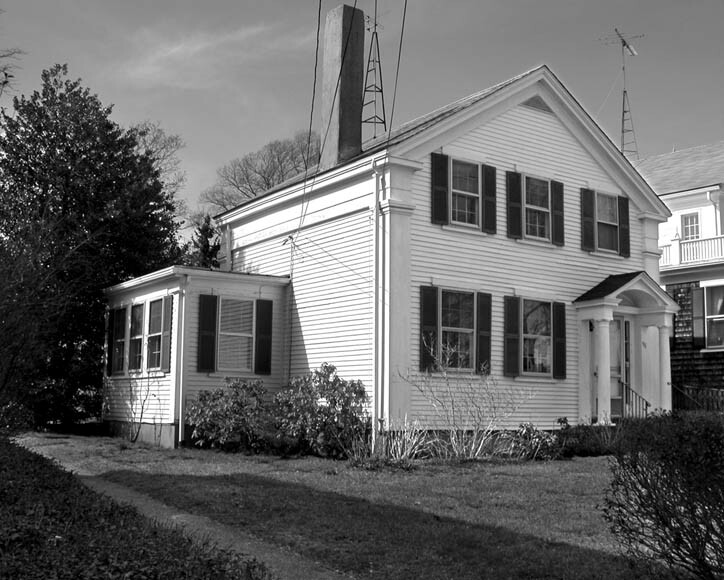 Stan Lair said of this house: "The Dan Alisio house, at the present time. Ida Luce lived there. She worked for Ernest Tilton for a good many years. Also a Dr. Bullitt owned it for awhile." According to Norton, this house was built by carpenter John Wing Howland (1814-1896) shortly after he purchased the lot from Danish mariner John Swain in 1840, and sold it two years later to Capt. Constant Downs (1807-1891). By 1850 this house was evidently occupied by Lorenzo Smith (1815-1896), his wife Christina B. Dias (1818-1896), and their children. Smith was the son of Elijah Smith and Lydia Clifford, and his occupation was listed variously as "mariner", "seaman", and "ship master." The family of Nantucket mariner Edwin Baldwin lived with them in 1850, and deaf seamstress Sophronia Wade boarded with the family in 1865. Capt. Smith died in October 1896, and his wife just two months later. The house was inherited by their unmarried daughter Florence Alton Smith (1847-1925), who lived at home. Miss Smith probably continued to live in the house by herself until between 1907 and 1910, when she moved in with her cousin-in-law Hartson Bodfish, and then rented out her childhood home. Following her death in 1925, the property wound up in Dukes County Land Court. By 1910, hardware store saleswoman Ida M. Luce (c1871-2-?) was living here with her widowed mother Content (Cottle) Luce (1840-1923). Content was the daughter of Tisbury farmer Edmund Cottle and his wife Content. Her sister Eliza was the mother of hardware merchant Ernest Tilton (see Site #29), whom Ida worked as a clerk for. In August 1925, following the death of homeowner Florence Smith and the subsequent Land Court trial, John C. Bullitt Jr. and his wife Edna D. Bullitt of Wayne, Penn., claimed the title to this property. Dr. John Christian Bullitt, 2d (1871-1925) used this house as a summer home. He was the son of prominent Philadelphia lawyer, banker, and railroad tycoon John C. Bullitt and his wife Therese Langhorne. Dr. Bullitt was born in Philadelphia, graduated from the University of Pennsylvania, and received his medical degree from the Pennsylvania Medical School. He practiced medicine for many years in Philadelphia. The 1910 census of the Norwood, Penn. lists him as a 38-year-old divorced physician boarding with a family there, and in 1911 he married Edna Deaver. In 1918 they began summering on the Vineyard. He died in October 1925, only a few months after obtaining the house, at the age of 52 in Vineyard Haven. He is buried in Wayne, Penn. His obituary notes that "He had taken great interest in remodeling the old Capt. Lorenzo Smith house, which he purchased some time ago, and which he intended for his own use. The house is nearly complete." "John Christian Bullitt (1871 - 1925) was the youngest child. He was somewhat retarded, but did succeed to graduate from medical school, perhaps due to his father's influence. He never practiced. He married first in 1899 Josephine M. Zinque, and the marriage was annulled the same year. 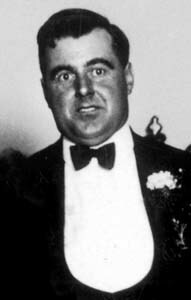 In 1911, he married Edna A. Deaver, in spite of the opposition of his family, which led to a lunacy hearing. The family was bitterly divided over this. William, Joseph and Helen maintained that he was mentally competent, while Julia and Logan pressed the action. Therese was on neither side, deploring the family controversy. The court found in favor of John's competence." 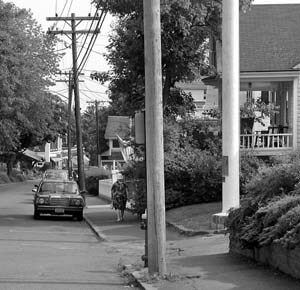 Barber Dan Alisio is remembered to have bought this house with his wife Marguerite by the 1970s, and he lived here until shortly before his death in 2001. See Site #3 for more on Alisio. Stan Lair said: "Next was Shubael Vincent, he was father of Frank Vincent. Frank Vincent had the cat boat, the On Time. In fact he had two of them, I believe. And he would bring over our Sunday papers, take parties out for sails, and was always for hire-anyone who wanted to get over to the mainland." "Owner, Mrs. Frank Vincent. The house is obviously a very old one, excellently kept up. The early part dates from the return of a Revolutionary soldier, Malachi Baxter, after fighting at Bunker Hill. The present owner's husband was a descendant of Baxter through his daughter and granddaughter. Except for the addition of the piazza, there have been no structural changes in the house since it was built here." According to Norton's book, this house was built in 1778 for blacksmith Malachi Baxter and his wife, schoolteacher Rhoda Manter. Originally located on the corner of Drummer Lane (near Site #36? ), it was moved here during the 1830s for their daughter Betsy (Baxter) Butler and joined with a second house in the rear. Mrs. Butler, a seamstress, bought this lot from carpenter James Cottle (1784 - 1863) in July 1830. Betsey Baxter (1794-1867) married three times, to Thomas Harding (1784-?) in 1808, then to ____ Butler, and finally to Edgartown yeoman Ichabod Norton (1786-1860) in 1857. She died a widow in May 1867 of a fever. 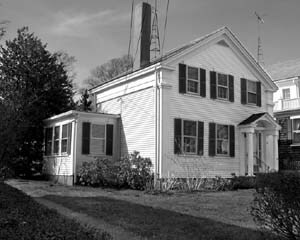 In the 1850 census, Betsey lived in this house with her brother John Baxter (1780-1858), a widower. Shortly afterwards John moved to West Tisbury, and Betsey is probably the "Betsy Norton" who appears alone in the 1865 East Tisbury census. 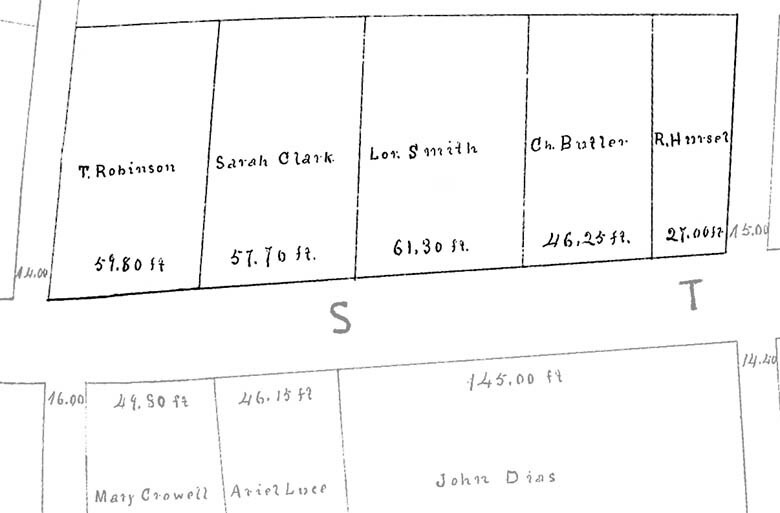 The 1858 map of Holmes Hole shows this house marked as "Betsey Butler"
Following Betsey's death the house was inherited by her son, teamster Charles D. Butler (1816-1895), who moved in with his wife Love Pease (1824-1891) and their children by 1870. The 1873 assessor's map shows this house marked as "Ch. Butler." Mrs. Eveline Francis (Butler) Vincent (1846-1921), daughter of Charles and Love Butler, inherited the house following the death of her parents. 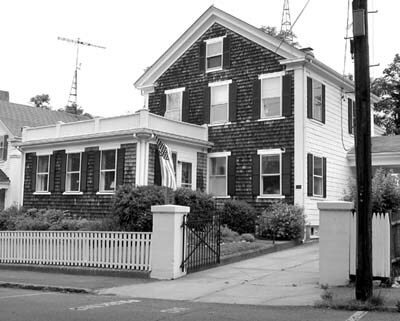 She had lived here since her teenage years, and in 1877 she married fisherman and carpenter Capt. Shubael L. Vincent (1842-1926). Her brother, painter William Harrison Butler (1848-1910), and her disabled sister Sarah D. Butler (1850-1912) also lived in this home with them. Well, one of the hatch covers apparently came loose and the cargo began to float around. That's when we got the word that the cargo boxes were coming ashore on the north side of the Island. So a bunch of us boys headed down toward the Herring Creek, about a three mile walk through the woods. And we arrived there, and sure enough, there were all sorts of things coming ashore in boxes. "There was a man, an old gentleman right ahead of us, going along, pulling stuff up, his name was Shubael Vincent. He was putting his initials on every box that he came along, 'S. V.', 'S. V.', throwing them up into the bushes and the boys were coming along right behind them and picking them up and making off with them! "There was all kind of stuff coming ashore there. There was of course soap, and candles, shoe dubbin. That was about all the stuff that would float there, of course a lot of the stuff was taken out of the holds later. For a time there was 'finders keepers,' and fishermen were bringing leather jerkins into the town wharf, and selling them right off the boats for a dollar apiece. Two dollars each for the black ones which were rare ones, prize ones, I guess. Dollar each for the others. And they were bringing those things in by the hundreds. They were packing bales of a hundred." Mrs. Vincent died in her home here in April 1921 and her husband in 1926. They were the parents of newspaper store owner Charles Morton Vincent (see Site #27) and carpenter and boatman Francis Chetwood "Frank" Vincent (1877-1949), and it was Frank who inherited the home next. In 1930 the house was valued at $6000. Since 1994 the property has been owned by Mary Etherington. Stan Lair said in 1979: "Next is the DAR building. Once was the Nathan Mayhew School, I believe in the 1820's, 1830's, along through there. Well, this is the site of the flagpole that was blown up by the three girls during the Revolutionary War, so the British wouldn't utilize it as a mast for their ship. These three girls blew the pole up with gunpowder, and there was a plaque on the pole telling all about it." Mrs. Howes Norris described it in 1921: "The Mayhew Schoolhouse was erected about one hundred years ago by Mr. Nathan Mayhew, for school purposes; but it was often used for religious purposes." 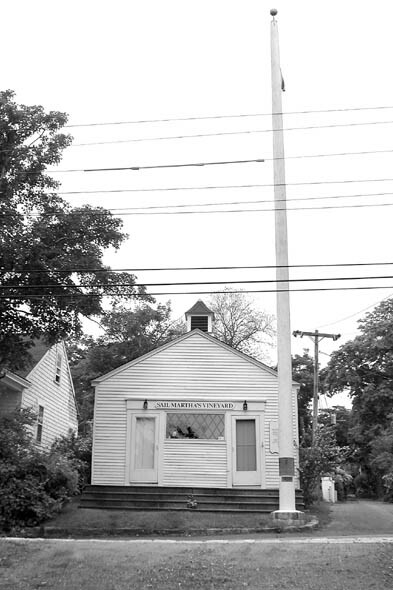 The 1971 Tercentenary Committee described it: "The Nathan Mayhew School House was built in 1828 for a 'north end' school. It was built by Nathan Mayhew, who also taught the school there for several years. On Sundays the building became the Congregational Church, and the name 'Mayhew Chapel' has stuck to it. Eventually both school and church found other quarters and the little building was given over to business, until its purchase in 1903 by the Sea Coast Defense Chapter, D. A. R. It holds an excellent small historical collection." For the history of this and other early Vineyard Haven buildings in the area, see James Norton's book, "Walking in Vineyard Haven, Massachusetts." View toward town, taken from just north of what is now the entrance to Owen Park. Photo by W. H. Ashton. The same view, June 2002.